Right now Amazon Prime Members can score this NERF Marvel Avengers: Infinity War Iron Spider Assembler Gear for only $11.98 (Retail $24.99)! 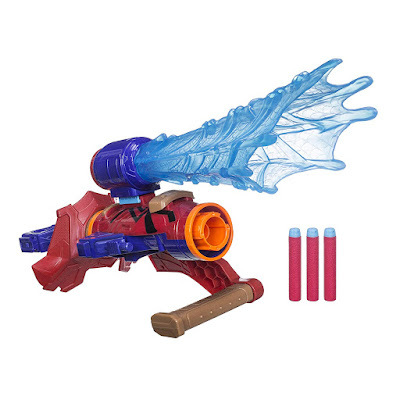 This cool Iron Spider Assembler Gear includes a gauntlet, 3 connectors, 3 darts and instructions that allow kiddos to create different blaster combinations and load and fire the included NERF darts into action. Plus, this set can be combined with other Assembler Gear sets for over 100 combination possibilities.